On Monday, February 21, 2012, North Bank Lodge presented a Master Mason's degree in excellent form, raising a new Master Mason to our ranks. The degree was presented by a team including both North Bank Lodge members, as well as assisting brothers from Washington, Silver Star, and Mt. Hood lodges. While being raised to the sublime degree of a Master Mason, Art carried with him the 33rd degree certificate his father received from the Scottish Rite. 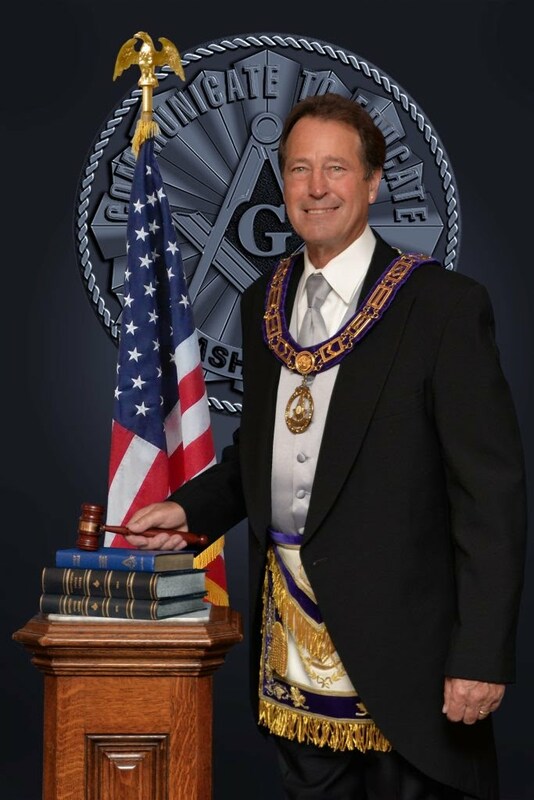 It was truly a family event for him; he couldn't wait to contact his brother to let him know that he had advanced to the next step of his Masonic journey. We are truly thankful to have Art as part of the North Bank family! Art began as an Entered Apprentice at North Bank in September of this year, working with Frank Moxley as his coach. Art has been quite active in the lodge, assisting with many lodge events, and is an ace on his memory work! We are very happy to have been able to present this degree to Art, and look forward to his continuing active membership in our Lodge.